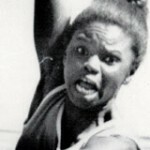 August 19, 1946 Martha Rae Watson, hall of fame track and field athlete, was born in Long Beach, California. Watson attended Tennessee State University and was America’s premier female long jumper during the 1960s and early 1970s. She competed in the long jump at the 1964 Tokyo, 1968 Atlanta, 1972 Munich, and 1976 Montreal Olympic Games. She also was a member of the 4 by 100 meter relay team at the 1972 and 1976 Olympic Games. Watson won five indoor and three outdoor national titles between 1964 and 1976 and twice set the United States indoor record in the long jump. Watson retired from competition in 1979 and was inducted into the USA Track & Field Hall of Fame in 1987.